MotoTireUSA. Free Mount and Balance or Free shipping! Motorcycle Tires! MototireUSA specializes in getting you the right tires at the right price, and installing them for FREE! * That's right, buy your tires from us, bring your wheels in and we will mount and balance your new tires for Free**. We can even do it while you wait, with our Pit Stop Service*. Simply schedule an appointment to pick up your new tires, bring in your wheels and browse our accessory shop while we mount and balance your new tires free*. We Also service Brakes, Chains, Forks, Wheels, Clutches and Hydraulics. We do NOT sell used tires. We service all brands of sport bikes, cruisers, sport touring, offroad and customs. Stop in for a pitstop and select from our in-stock selection of hundreds of tires. MotoTireUSA sells tires to fit virtually any motorcycle out there, including Aprila, BMW, Buell, Ducati, Excelsion Henderson, Harley Davidson, Honda, Hyosung, Kawasaki, Moto Guzzi, MV Augusta, Piaggio, Suzuki, Triumph, Vespa and Yamaha. $5 Disposal per tire fee applies to all tires left with MotoTireUSA.com *Free service applies to tires purchased through us, mounted on wheels you bring in, off the bike on tires priced over $90 . *Pit Stop Service is guaranteed available by appointment. Pit Stop Service is also available on a walk-in basis, if no other pit stops are scheduled and a mechanic is available at that time. Pit Stop Service completion times may change to to unforeseen circumstances. **Free valve stem replacement applies to standard rubber 'pull-through' valve-stems only. Other valve-stems may be an additional charge. ***Standard Shop Labor Rate is $120 per hour. All rates and services may change at any time. 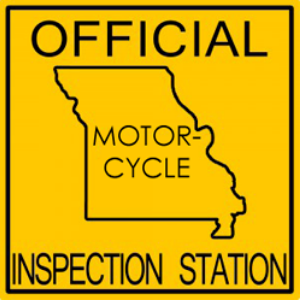 Additional labor may be required on some motorcycles.